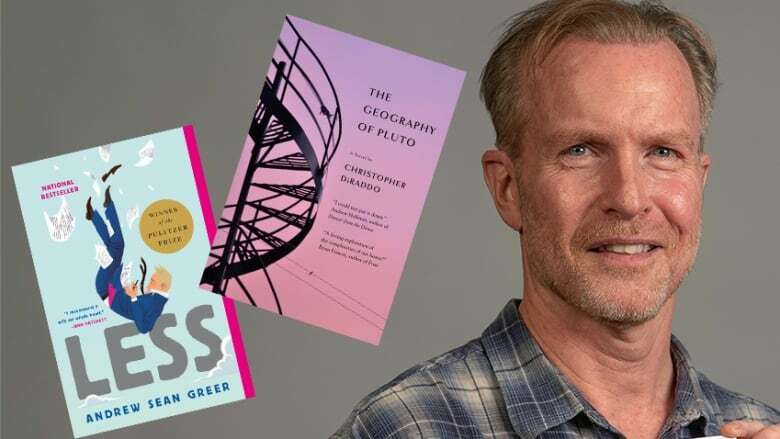 The Next Chapter columnist Victor Dwyer says the Canadian counterpart to Andrew Sean Greer's Pulitzer Prize winner is Christopher DiRaddo's The Geography of Pluto. 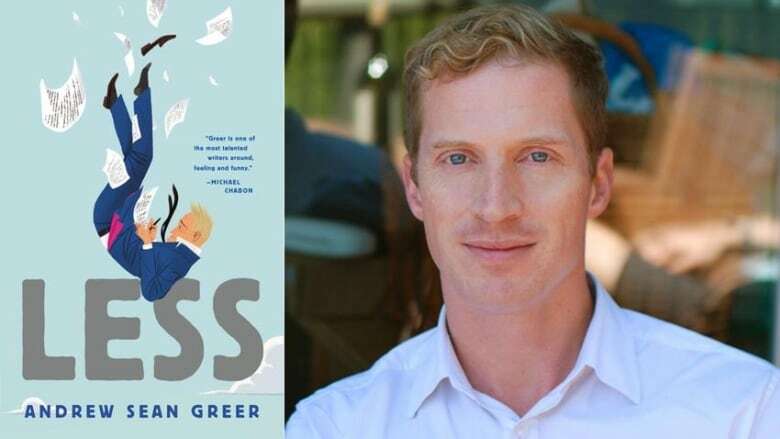 The novel Less by American author Andrew Sean Greer made it to a mountain of "best of" lists for its mix of funny with bittersweet observations on life and love. This combination convinced the jury to award it the 2018 Pulitzer Prize for fiction. Less follows a gay man named Arthur Less on the cusp of his 50th birthday, as he sets out on a round-the-world trip to forget a past love who is set to marry another man. 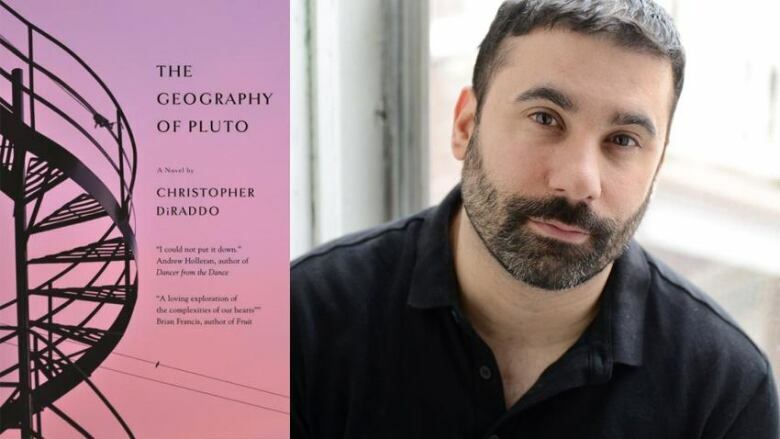 Our columnist Victor Dwyer has read Less and he has found a Canadian book that's a good match: The Geography of Pluto by Christopher DiRaddo. "Arthur is a spoiled, middle class, vaguely patrician, middle-aged man. He's the kind of guy who sits in a hotel lobby and notices that the clock isn't set properly and stews about it. He's restless. He's a minor author. He enjoyed middling success with his first book, but it was many years ago and now he's really not well known anymore. "Now his big question is, how do I live alone and yet not be alone? He's been careless with love when it's come his way and he knows that. He's rueful about that. He's mourning the loss of his great love, a man named Freddy who is a high school English teacher 15 years younger than Arthur. Overall, Arthur is just a weary and loveless man. He's a white middle-aged American man walking around with all kinds of white middle-age American man problems. To avoid his his latest big problem, the fact that Freddy, the true love of his life, is about to get married, Arthur cannot abide at all the idea of going to the wedding, although he's been invited. So he takes the geographic cure. He cobbles together a bunch of minor little literary things he's been invited to — there's a book reading and an interview and an award to be judged. So he starts traveling around the globe from New York to Mexico, Germany, Morocco, India and hopes that along the way he will be able to put Freddy behind him. "In many ways, it seems like Arthur Less is really grieving his lost love and youth. A lot of his friends were older and many died to AIDS. He feels in many ways like a pioneer. He's facing the future and a lot of his generation hasn't had to face that future. It's an interesting book because it's quite funny. A lot of it is about being brave and using humour as bravery. He's scared stiff. He's turning 50. The love of his life is about to marry. He's headed out into the world." "It's a 2014 book and I think it has a lot in common with Less, but it's a somewhat darker book. It takes place across a Montreal winter about a decade ago. Its protagonist is Will Ambrose. He's a geography teacher. He's in his late 20s, but he's also, in many ways, thinking about age. He's started to get a little bit of middle-age spread. He's licking his wounds after a break up with his first real love, a man named Max. Will also is a single child and he's feeling his way through what might be his final scene with his mother. His widowed single mother who raised him has been fighting cancer at the age of 50. Her age compared to Will's age is also something Christopher DiRaddo plays with in the book around the passage of time, what happens with love and what happens with relationships as time goes by. Like Arthur Less, Will takes a bit of a geographic cure through the winter of his discontent. His is all within Montreal and, in many ways, really is a love letter to Montreal. "Will wanders the gay village and thinks back to eight or nine years before when he first discovered it and discovered his own homosexuality. He looks back on drinking with friends and remembers how much hope this unknown world had for him, learning its rules of engagement and it's haunts, like the geography of a distant planet. A lot of it is him moving through Montreal — thinking, talking, being out with his friends, triggering memories about love and how our first loves form a map in our hearts, a kind of blueprint of memories as he calls it, that we spend the rest of our life retracing. In many ways, it's about a man who's at a juncture. His heart's been broken. He's thinking about age and how his early youth is gone. It's about how we find our bearings when we're at a young juncture like that." Victor Dwyer's comments have been edited for length and clarity.